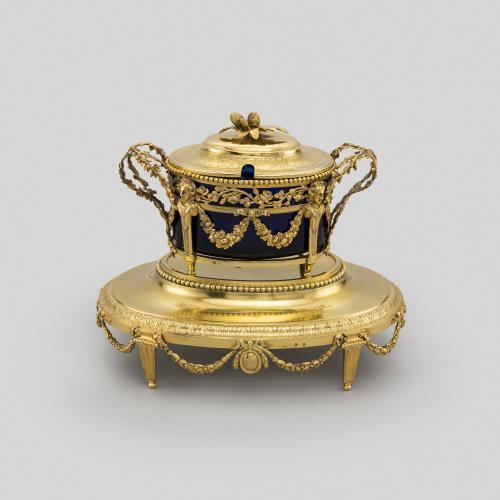 Marie-Joseph-Gabriel Genu was a French silversmith who created extraordinary works in silver and gold for Emperor Napoléon I, his imperial court and distinguished members of French society. 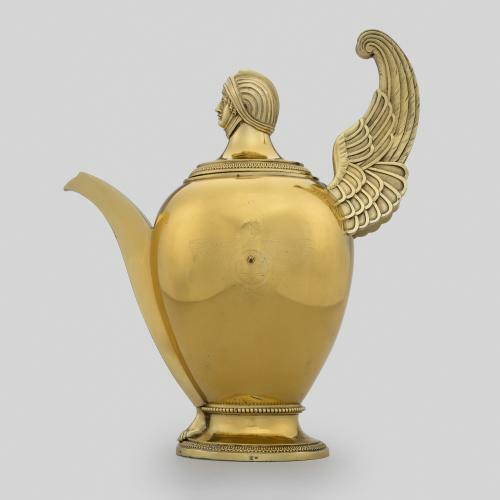 This silver-gilt teapot exemplifies the fashion for classical forms and decoration during the French Empire (1804-1814), and its shape copies that of a canopic vase, an Egyptian form used during the mummification process to contain viscera. 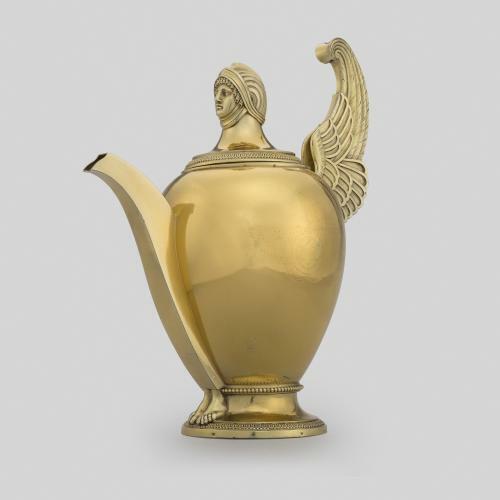 The handle of the pot takes the shape of a pair of wings, and the lid takes the shape of a head of a Greco-Egyptian soldier. Napoléon’s excursion to Egypt in 1798 triggered a revival of interest in the art, architecture and culture of ancient Egypt in Europe, a craze known as ‘Egyptomania’. 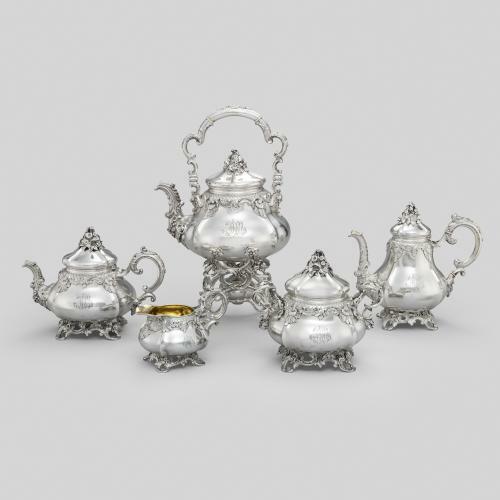 This was popularised by the publication of books such as Vivant Denon’s Voyage dans la Basse et la Haute Egypte, that became available in England and France in 1802. 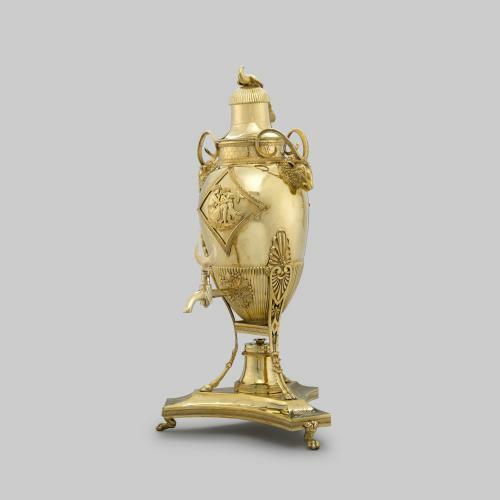 Denon’s Voyage contained accurate representations of Egyptian buildings and their decoration and became an important source for European designers and craftsmen who incorporated Egyptian motifs into their work.